When it starts to snow, you don’t want to be left out in the cold. But where can you turn for fast, helpful, same-day heating repair? 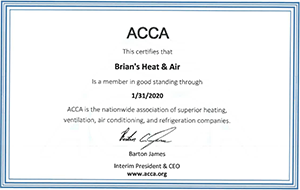 At Brian’s Heat and Air, we’re available to serve you as quickly as possible. We can usually offer same-day heating repair services, but we also offer emergency 24-hour services so you don’t have to go too long without heating in your home. We work with a wide range of heating systems so you can totally rely on us to provide you with qualified heating repair services no matter where you live in Tulsa, OK.
Look at your current gas or electric bills and compare them to bills from seasons past. If your current rates are much higher than in previous cycles, your furnace may be to blame. Your heater’s pilot light is supposed to be blue in color. If you notice any other color, contact your heating professional immediately. If any portion of your heating system is in poor condition, including the filters and ducts, your building’s air quality will drop and you may have a serious case of the sniffles until the affected components are repaired. Uneven warm and cold spots in your home. Does one room in your building feel warmer or cooler than another area of your property? Your heating system’s ducts likely need to be inspected to ensure your heater runs efficiently. Noises coming from the furnace. Whatever kind of heating system you have, it shouldn’t make a lot of noise. If you hear moaning, banging, or clanking coming from your heating system, call a technician to have the appliance repaired quickly. 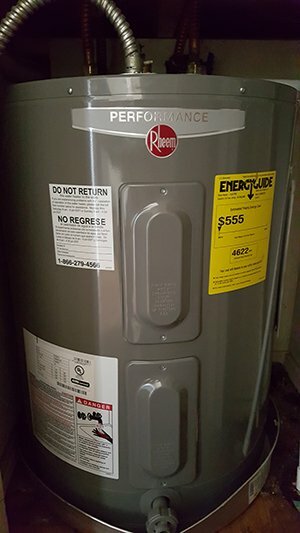 Call Brian’s Heat and Air at (918) 834-0662 or (918) 951-5835 to have one of our technicians visit your property in Tulsa, OK, and perform the necessary heating repairs.